Holiday 2013: CHANEL Nuit Magique. 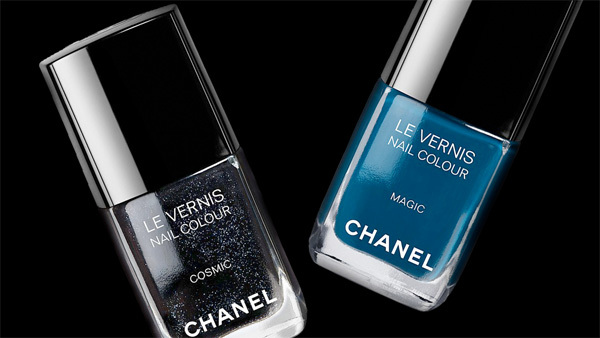 CHANEL is launching two limited edition nail colours, exclusively online today. Just in time for a little Cyber Monday shopping pleasure, this is Nuit Magique. Nuit Magique contains two Le Vernis Nail Colours, Cosmic and Magic. Cosmic is a dense sparkling black with a lot of blue and silver pearl. Magic is creamy dark sky blue. Cosmic is my definite favorite of the two and will be my nails a lot this holiday season. 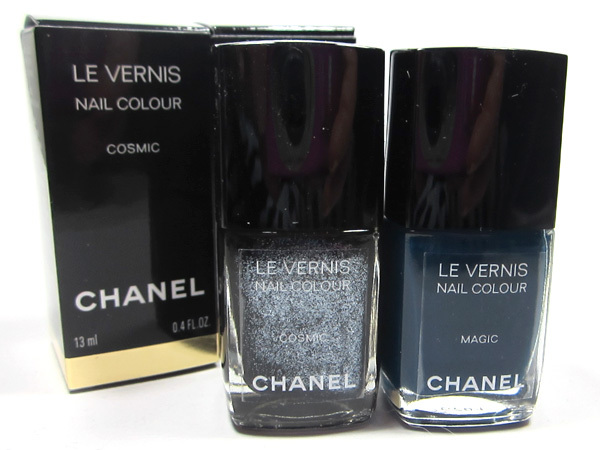 CHANEL Le Vernis Nail Colour in Cosmic and Magic retail for $27.00 each and are for sale exclusively on chanel.com.